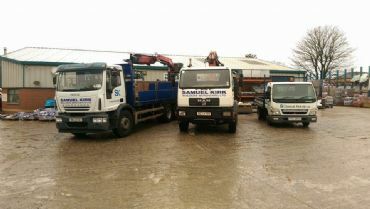 Samuel Kirk Builders Merchant is a builders merchant based in Newtownabbey on the outskirts of Belfast. A family owned business situated in the centre of Glengormley and established for over 60 years, we cater for all aspects of DIY and building supplies for trade and domestic customers. 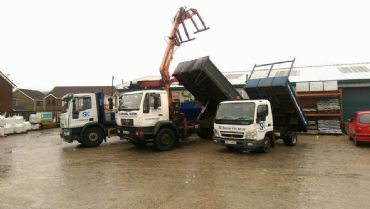 With a 27 ton block lorry with crane attachment for offloading, a 18 ton tipper lorry (for loose sand and stones) with a payload of 8 tons and crane attachment, and 3.5 ton tipper with a payload of 1 ton, we can cater of all your delivery requirements. Our drivers Damian Jaczyk and Ian Burton will always do their best to ensure your delivery is as handy for you as they can make it.